Why do companies collect data and store our personal data? Because big data is money, why else? Read on to know learn more about data mining business and big data. Why Do Websites Collect Data And Store User Data? In the old days, at the dawn of computing, computers had very little ability to recognize humans, or anything else, that wasn’t told to them. You logged in and if you used your real name then the computer knew your name and that’s it. Imagine complete blackness with only a neon sign of your name visible and that is an example of what I’m talking about. Now imagine the onset of real technological advancement. Advancement where the Internet of Things enables a computer to recognize your voice through a microphone, where your computer can visualize your height and features through a camera eye, where websites know your biometrics through a wearable device and all your past browsing history, financial transactions and medical history are digitized and within reach. In this world a computer can create a fully fleshed out virtual you that can predict how you think, what you like and where you’ll spend money. That’s the world we live in today and it is all because of data collection. It goes without saying that websites and businesses collect and store data. Why companies store data is simple. Data is knowledge, knowledge is power and power invariably turns into money. The more data you have, the more power and the more money, just look at Jeff Bezos. He started Amazon as a simple means of selling books at discount prices. Along the way his little website collected data on you, me and everyone, turned that data into knowledge and now Jeff Bezos is the second richest man in the world. One of his latest advancements, the Alexa device, is nothing but an advanced data collection tool you willingly set up inside your home, complete with direct link back to Amazon. Every time you log onto the web, log into a website, open a new account, fill out a survey, answer a questionnaire or provide information – it is being collected, often solely for the purposes of resale, and often with your name or other easily identifiable personal information attached. Even without your name, IP addresses and other markers can be used to tie what you do today to other information currently available on the web. It is a given that data is an aid to both consumers and businesses. The problem with big data arises when privacy is invaded and when sensitive data is stored and lost, exposing individuals to harm. Unlike the National Do Not Call List there is no way to avoid having your data collected, it happens and there is very little you can do about it. Legally collected data is risky enough, theoretically free of identifying information but nonetheless up for sale to any marketing department that wants it. Illegally collected data, or data stolen from a legal collector, is much worse. With only a few bits of information black-hats can easily steal your ID and clean out your bank account. In the old days of analog data collection and storage was hindered by time and space. The advent of the digital world led to an explosion of data collection and storage. This data is being generated every second of every day, with each and every use of the Internet. Ironically, now there is too much data for traditional analytical methods to comprehend. This leads to the creation of a whole new form of analysis called Big Data. Big Data is a term that loosely describes data sets that are so large or complex that traditional methods of analysis are not adequate to handle them. Businesses use advanced algorithmic analysis, also know as data mining, to extract value including predictive and behavior analytics that can be used to spot market trends, control the spread of disease or prevent crimes. Over the last 4 decades the global capacity to store data has roughly doubled every 3.33 years. Volume is an issue for big data analysis because there is so much of it. It is generated everyday by every device connected to the Internet with regard to population size or sampling. Basically, if it is being tracked and someone does it – it gets counted. Velocity is an issue for two reasons. The first is that as the IoT expands the rate of data being generated grows exponentially. The second is that this data is most often generated in real-time and on a continuous basis. Variety is an issue because the types of data being generated are diverse, and the number is growing. 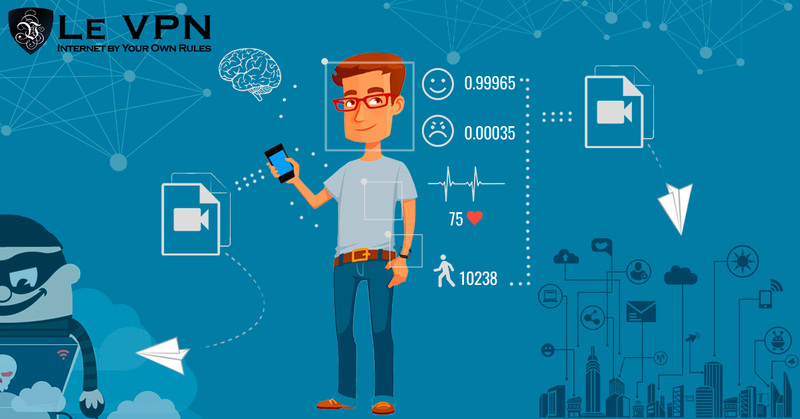 These include interaction on the net but also images, audio, video, biometrics as well as sources such as PC, laptop, tablet, mobile, wearables and all the little IoT enabled sensors, readers and transmitters we find in our daily lives. 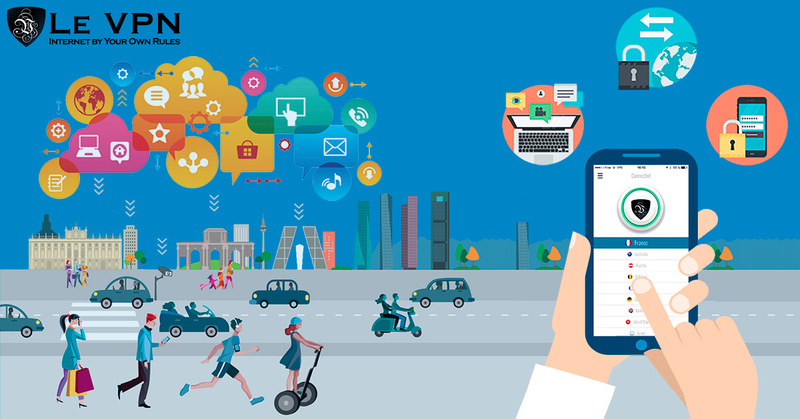 It has been estimated that there will be more than 50 billion IoT connected devices by 2020. Variability is an issue because inconsistencies in data, data collection or storage can greatly affect the outcome of analysis. Veracity is an issue because the quality of data captured can also vary greatly, also affecting the quality of the analysis. Data mining is the algorithmic search for patterns within large and complex sets of data. It is a subset of computer science and at the intersection of differing fields of study. Also called data science, it utilizes artificial intelligence, machine learning and statistics to produce useful insights from an unrelenting onslaught of information. There are many benefits to Big Data despite the risks they pose to consumers. The number one is with marketing, sales and retail. Big Data and data mining helps businesses understand who is most likely to respond to new marketing campaigns and the best way to reach them. This not only helps control the costs of advertising but increases conversion rates from hit-or-miss income to steady streams of cash flow. In addition to direct advertising data mining can help retailers manage the arrangement of shelf space so that items frequently bought together are placed optimally to maximize customer experience, increase transactions and boost ticket averages. Data mining helps the financial industry and banking specifically by utilizing historical data to identify potential credit risks and to tailor loan packages to individual needs. Big data can also help identify to detect anomalous transactions and prevent credit card fraud. Governments benefit in the same way, using Big Data to identify crimes as they are happening. Big data can be used by manufacturing and industry to streamline preventative maintenance and repairs. Repair logs can be compared to performance records in order to identify potential trouble spots, often times even before they become a problem. Manufacturing processes can benefit from identifying optimum operational efficiencies to produce the highest quality product. The risks of Big Data are equally important. The number one is privacy. Collecting data can easily cross the line from innocently counting the number of people who visit a website to collecting their names, IP addresses, real addresses, telephone numbers, ID numbers, bank accounts and so much more. The way we use the Internet today makes it possible, close to 100% guaranteed, that someone out there knows more about you than you do. Data mining companies build huge dossiers on individuals and then use them to create lists based on medications, travel history, net worth and any other criteria you can think of. Random bits of information can be pieced together to determine things like religion, political views and even sexual orientation, and all available to your employer if they choose to purchase it. Another is security. Someone collecting your personal and personally identifiable information puts themselves and you at risk. Black-hats can target the business collecting the data in a variety of ways, and once lost – put you at risk of ID theft. The worst part is that so many businesses online today require you to deliver information for them to store. Think of all the bank, credit card, mortgage and health care facilities you visit in a year and all the information they have collected about you. Misuse of information is a risk as well. Ethically collected information could be used for unethical purposes such as targeting vulnerable individuals or to discriminate against a group or individual. A list of people with gambling or sexual addictions, who are constantly looking for get rich quick schemes can easily be targeted for fraud or other crime. This is especially important when it comes to government collection of data. They have virtually unlimited access to the stream of information flowing across the Internet and can, and often do, collect it all. Inaccurate information is always a possibility too. Incorrect, inaccurate or vague information can easily skew results and lead to poor decision-making. Veracity of data collected is always a big issue and with Big Data has grown exponentially. One area where businesses and Big Data have failed to produce accurate results is in the number of true clicks on websites. The number of clicks is skewed by automated robo-clicking (click fraud) and the innumerable times we miss-click on ads. Just today, while researching this article, I miss-clicked at least a dozen times. Not because I am clumsy but because the manner in which web pages are loading, and constantly shifting around, it is all too easy to click on ad space when you really mean to click an informational link, menu heading or other navigational icon. Who Is Collecting Your Data? Everybody. Big Data and Data Mining are in fact so important to today’s computing world that the top software companies have spent more than $15 billion buying firms specializing in data collection, storage and analysis. Recent estimates put the industry at over $300 billion globally, with more than 3 million employed in the US alone. Sometimes referred to as data brokers there are companies whose sole purpose is to collect, analyze and then sell data. They sell it to each other, to other businesses, the government or whomever is interested. The firm Axcion, publicly traded on the NASDAQ, does more than $1.1 billion annually offering its analytical services and is only the tip of the iceberg. Acxiom’s clients range from small businesses up to the largest corporations, delivering solutions along a number of fronts. The primary function is to help companies deliver the most relevant advertising, and even the ability to suggest things to you before you even know you want them. This following is an excerpt from the companies most recent earnings release. Ethical or not, the company once bragged about the volume of information it had been able to collect about 200 individual Americans. If you doubt the size and scope of the data collection and distribution industry all you have to do is a few quick searches on Google to find companies selling lists of all kinds. Businesses whose purpose it is to track our movements and surfing habits have gotten very creative. Free apps like Angry Birds, Candy Crush and Words With Friends are fronts for data collection businesses. They can use your phones GPS and connection logs to track your movements, where you go, who you visit, what stores you shop in and much much more. Even legitimate businesses have come to realize that they have a secondary source of income. Your data. They collect, compile and sell lists of their clients just like dedicated data broker. Much of this data is even more important than average because in many cases it can be filtered for the proven spender, the guaranteed buy. To make it even easier there are third-party websites that will eavesdrop on another website to track, gather and analyze data for a fee. It is impossible to go online without having some form of information collected about you. What you can do is take steps to limit what information is collected, and by who. To do this you must focus on two things. The first is the information you provide to the Internet, the second is by limiting who knows you are on the Internet. Fortunately, tackling the first problem will help you solve the second, providing you include a VPN. Internet best practices are a non-official list of rules or suggestions for using the Internet. They including using anti-virus, anti-malware and firewall protection as well as guidelines for how you surf, and what you do while surfing. Anti-virus, anti-malware and firewalls are always the first line of defense as they help to prevent the deployment of information collecting software onto your network and devices. 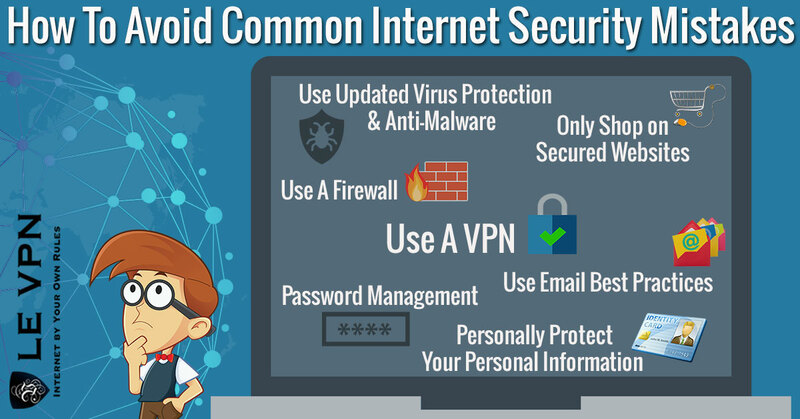 What many web surfers are not aware of is that a VPN should be added to these to ensure the highest level of security. VPN, virtual private network, is the technology that big corporations, governments and tech savvy individuals use to secure Internet connections. It uses a combination of encryption, “tunneling” protocols and authentication to create connections over public wires that are anonymous and near impossible to read by any other than the intended recipient. Along with many other unintended benefits VPN can also help cut down on the amount and nature of data collected about you. The way VPN works is like this. Once you join a service such as Le VPN you download the software to your computer and then log onto the net using one of their dedicated VPN servers. All of your transmissions, your data packets, are anonymized by being re-packeted. The new packets have new and anonymous (not your computer, not your IP address) identifying markers that must be authenticated at the destination before being opened. In addition, your data will be encrypted inside the packet and/or the entire new packet will be encrypted to prevent eavesdropping. Once sent, the connection bypasses your ISP and goes directly to the VPN server where it is redirected to the end destination, the website you are surfing. When it comes to your privacy all anyone on the Internet will ever be able to see is one more random user. The only data they will be able to collect will be if when you go to a website, and it won’t include your identity or any identifiable markers and will never be associated with your true identity. After that it’s up to you to avoid inputting information you don’t want the entire Internet to know. If that sounds like what you need, and let me assure you it is, then there is no reason not to get Le VPN now.